While we’re enjoying unseasonably warm weather here in south London, heavy snow and extreme cold has been disrupting life in Japan and the U.S., particularly in the northeast. 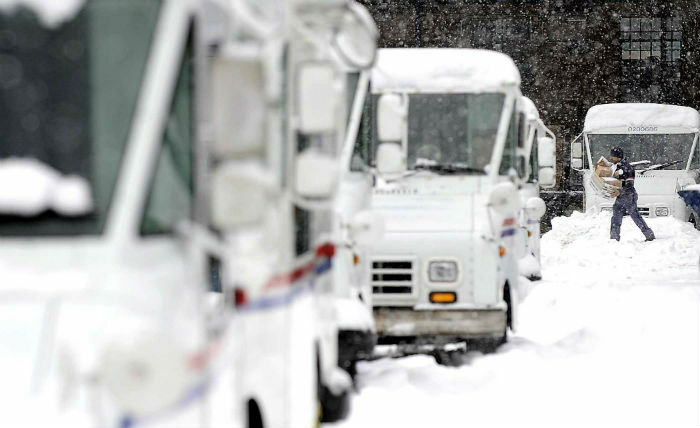 We are advised that due to winter storm Jonas, delivery delays are being experienced across the east coast of the U.S. All USPS plants have reopened and some delivery services have been resumed but deliveries will be limited by local road conditions. In Japan we are seeing some minor disruptions to deliveries but as yet nothing too severe. We will keep you posted about any delays to your order as and when they arise. 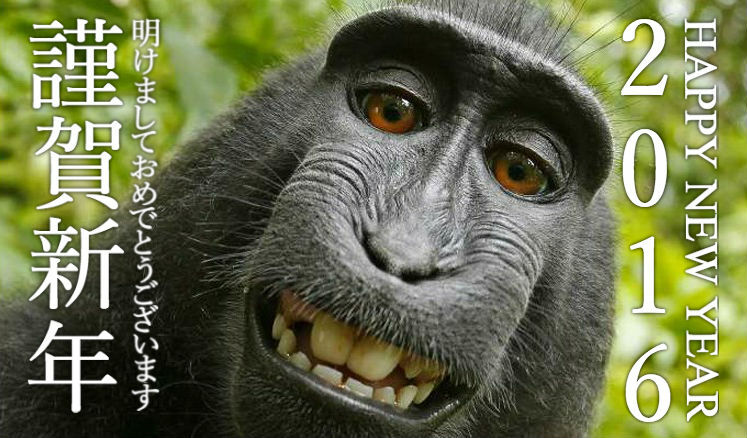 We at Japan Zone would like to wish all our visitors a very happy and healthy Year of the Monkey in 2016! Read the Japan Zone guide to the 12 animals of the traditional Chinese zodiac. 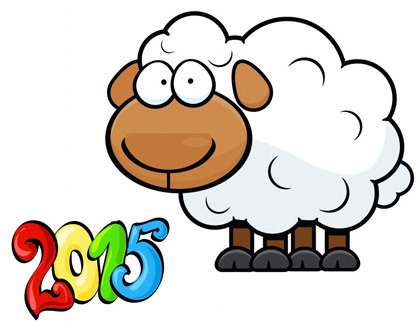 In the Chinese zodiac, also very popular in Japan, 2015 is the Year of the Sheep. The sheep and its flock are said to symbolize family and living in harmony with others. But if you reckon you’re more in need of protection from those around you, then maybe what’s required is a robot suit. If so, head along to Keisei department store in Mito, Ibaraki. The store has decided to go for it with their “fukubukuro,” or lucky bags, this New Year. The bags are sold at certain set price, anywhere from ¥1,000 to ¥1 million, and you take your chances with the contents. If you’re in a position to shell out a bit more, you could be the proud owner of a 2m Kids Walker Cyclops robot suit. Made by by Sakakibara Kikai it weighs in at a hefty 360kg, seats one, and has two speeds. Sadly, rather than actually walking around, it runs on wheels. And it doesn’t come cheap, ringing in at ¥5,555,555. A belated Happy New Year to all of our customers. 2013 was a good year for us and 2014, the Year of the Horse in the 12-year zodiac, is off to a galloping start. We’re seeing lots more orders than we did at this time last year, so that’s a good sign that things are starting to pick up in the global economy. And of course in our case the weakened Yen helps. A gold-plated bronze horse, sold by Ginza Tanaka in Nagoya for ¥15 million. People here in Aichi prefecture have a reputation for liking things gaudy and expensive. So it was no surprise to see one jewelry store in Nagoya promoting its New Year sale with this ¥15 million ($150,000) full-size, gold-plated bronze horse. Although it’s modeled on an actual racehorse, that’s a lot to spend on a horse that’s not going to earn its keep by winning a steeplechase or two. If that’s too rich for your blood, Ginza Tanaka is also selling gold statuettes and oban (traditional oval coins) with a horse motif for a more moest ¥1.4-1.7 million ($14-17,000). But don’t worry, you don’t have to spend a fortune to get your year off to a golden start. Our store lineup now includes a gorgeous little gold Maneki Neko, or lucky beckoning cat. These figures are traditional placed in the entranceway of a home or business, where they beckon to new customers, friends or even lovers! And the gold symbolizes the fortune that is headed your way. A bargain for just $25.95. Welcome to 2013, the Year of the Snake! Unfortunately the Japan Store snake has been busy feeding on bugs over the last couple of weeks. Software bugs that were causing some issues with our popular range of jikatabi products since mid-December. Thankfully it looks like the bugs are finally gone and you should now have no trouble ordering those cool Rikio Fighters or Marugo Sports Jogs. And I’d like to extend my apologies to all of you who tried in vain to order them over the holidays, along with a peace offering – a $5 voucher good on any order over $29 (which covers any jikatabi product you can think of). Just enter JS-SNAKE2013 when you checkout and you’re good to go. The voucher is good until the end of January. Thanks as always for your patience. If you’re thinking of splashing out on a down or fleece jacket this winter, you might want to think again. For a century and a half the humble hanten has been a staple of many a Japanese wardrobe. And some recent research by one of the country’s top hanten makers illustrates just why that is. For several years here at Japan Store we have carried hanten made by Kuwano Shinken Sangyo, who market their handmade jackets under the brand name Watanosato (“The Home of Cotton”). They come in a variety of traditional patterns and comply to the strict specifications that allow them to be classified as Kurume Kasuri and distinguish them from cheaper hanten, mostly made in China. One specification is that the padding must contain at least 50% cotton. Watanosato hanten contain 70% cotton, with 30% polyester to ensure the padding keeps its volume and insulation qualities for many years of use. So just how warm are they? The company carried out tests to compare the insulation qualities of three types of jackets. They used one of their own hanten and compared it to a fleece jacket and a down jacket, both from popular brand Uniqlo. 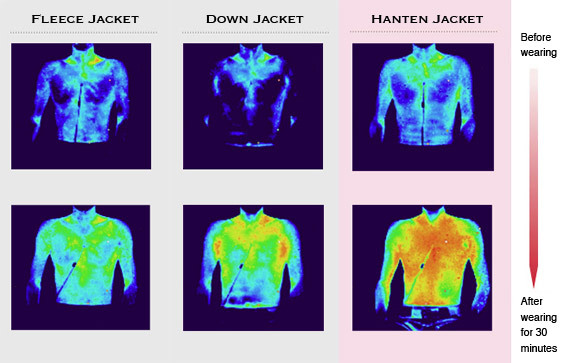 With an ambient room temperature of about 15 degrees Celcius, skin temperature was measured both before and while wearing the different jackets for a period of 30 minutes using a thermographic camera. 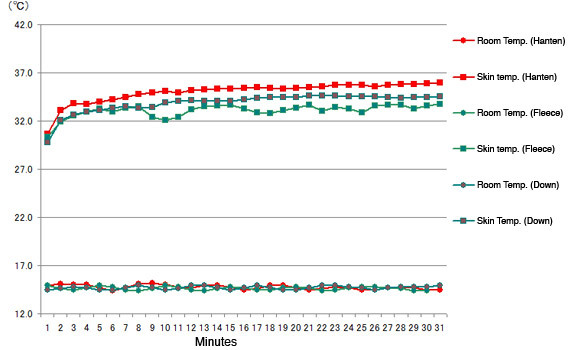 The image below shows clearly that the hanten keeps you consistently warmer (for geeks, the table of data is at the bottom of the post). So this winter try on a traditional hanten and enjoy the warmth that has insulated Japanese people for over 150 years. See our selection of mens and ladies hanten. Room Temp. Skin Temp. Room Temp. Skin Temp. Room Temp. Skin Temp. With Halloween just over a month away, this seems like a good time to plug our selection of handmade Japanese masks. We have a selection of demons and goblins who feature in the many popular folktales familiar to everyone in Japan. The designs originate in the traditional theater forms of noh and kagura dance, but they’re just as well suited to scaring the daylights out of kids and adults alike. There is something beautifully creepy about the hanya masks in particular. Based on the legend of a woman transformed into a demon by jealousy, the horns of her jealousy are still symbolically present on the heads of unmarried Japanese women. Hence the white headpiece that is worn by the bride to hide them in the traditional Japanese wedding. Of course, Halloween doesn’t mean you have to dress up to be scary. So our variety of tabi, jikatabi and other ninja gear can be combined to dress up as a stealthy Japanese assassin. Most businesses in Japan close down for the annual Golden Week holidays. This year, the holidays run from April 29 to May 6. Japan Store will remain open for business but during that time most of our suppliers will be closed so deliveries of orders will probably be delayed. We will do what we can to get orders shipped out as quickly as humanly possible but we ask for your patience over the next week or so. As Monday, October 10 is Health & Sports Day in Japan, a national holiday, we will be getting out of the office and doing something…healthy and sporty. So there will be slight shipping delays on items ordered over the three-day weekend. You can find a list of all the Japanese national holidays on our main site, Japan Zone.